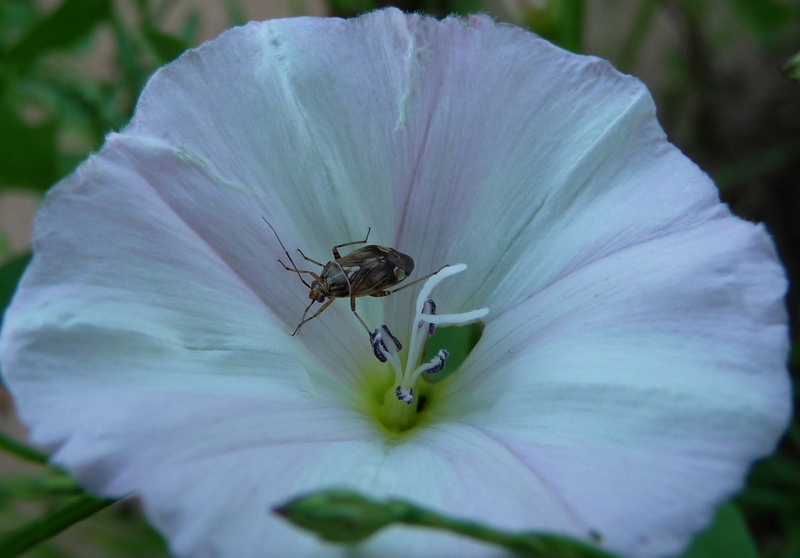 My high school zoology students were attempting to get a “great” picture of some of the field bindweed by our high, and they accidently found this insect on the flower. Can anyone name this insect? Page 114 of Insects in Kansas–Tarnished Plant bug, Lygus lineolaris. Also, check out the The Bug Guide.